Becoming very familiar with the normal behavior of the birds around you makes it much easier to notice abnormal behavior, just like knowing the common species helps you recognize an unusual bird. 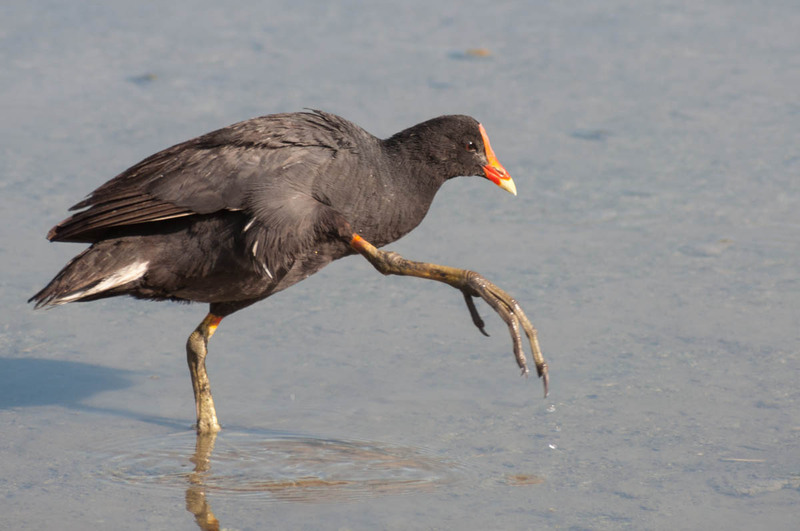 Unusual behavior is often linked to a physical problem, and photos of it can capture the amazing resilience of birds and their drive to survive even against the odds. A Common Gallinule with an injured leg or foot hopped around the shallows when feeding. 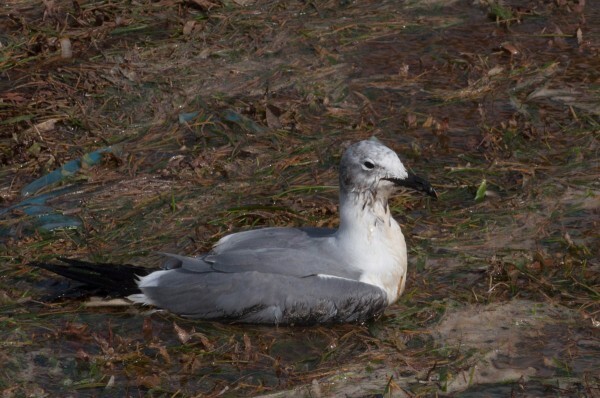 A sick seagull sat in shallow water just offshore, too tired to fly. A few days of rest and recovery and it was feeling good enough to fly off. 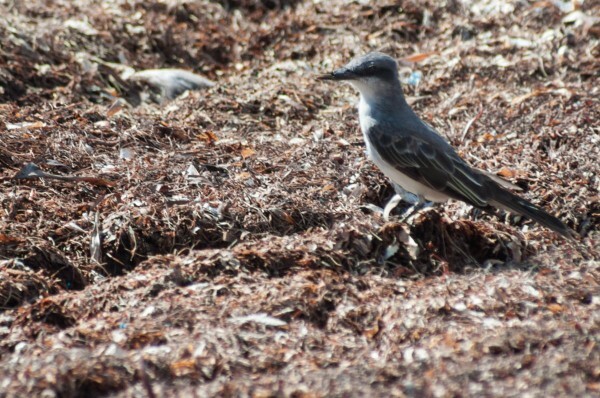 A Gray Kingbird with a broken beak started hunting for insects and other invertebrates in decaying sargassum on the ground rather than flying insects. 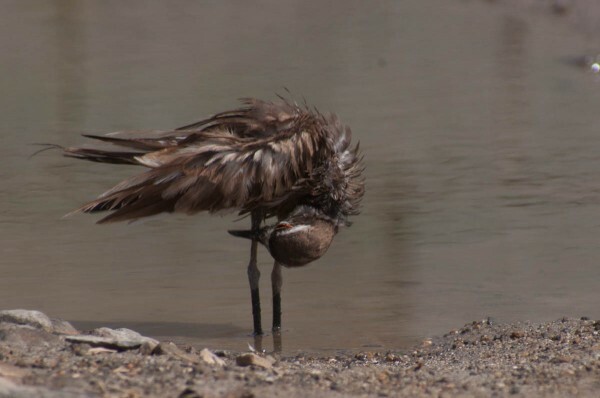 The preening of an oiled Killdeer was particularly poignant. Over the course of a few weeks it was able to clean much of its plumage, although the impossible to reach neck area remained thick with oil.